Congratulations, your grown-up children have passed their driving test – with or without your help – and you no longer have to ferry them around endlessly. But you can still play an important role in ensuring they get around safely. After all, passing their driving test doesn’t make them the finished product. Driving is a skill that requires honing over a lifetime. 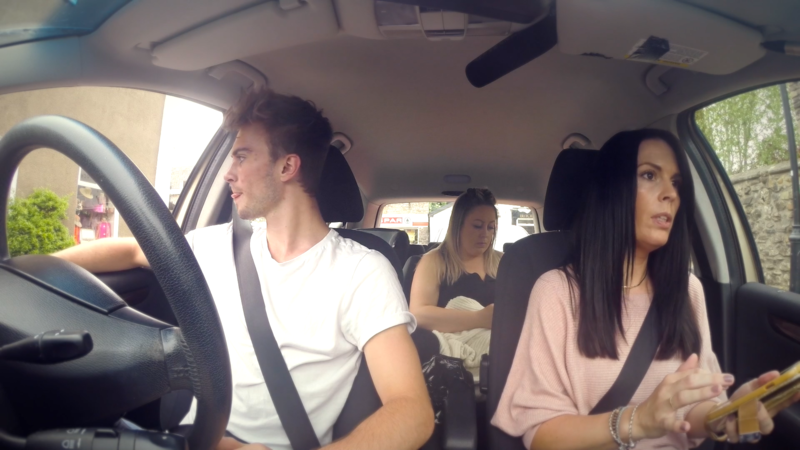 And it’s easy to fall into some bad habits, as we saw when we put three parents of learner drivers to the test. Here are some simple tips to share with your children to help them to stay safe and continue to improve their driving skills. And you never know, some of them might help you too. Perhaps you’d rather consign the test itself to history. But thinking back through any faults you were pulled up on could help you become a better, safer driver. Perhaps, for example, your reverse parking wasn’t perfect. Or you forgot to check your mirrors as you turned but signalled properly and otherwise completed the turn safely. If you’re lucky enough to get a new set of wheels after passing your test, then be sure you to take the time to work out where everything is. Before you start motoring, that is. Hazard warning lights? Fog lights? Petrol cap release? And get to know your radio before you set off - fiddling with it while driving could land you in trouble. Other drivers may give you a little more space if you display green 'probationary' P plates to show that you've just passed your driving test. They aren’t a legal requirement, but you can keep them on for as long as you like. In Northern Ireland you must use 'R' plates (restricted driver plates) for one year after you pass your test. If you can bear another test, then consider Pass Plus. It’s a practical training course designed for new drivers to improve their skills and drive more safely. It could mean a reduction in the cost of your car insurance. No driver wants penalty points - but new drivers in particular are on a shorter leash. If you get six or more points within two years of passing your test and you lose your licence. You could easily lose all those points in one go, say by being caught when using your mobile phone behind the wheel. Another benefit of keeping a clean sheet, with no accidents, claims or points on your licence, is that your insurance premium should fall when you renew your policy. It’s important to minimise distractions, particularly when you first pass. So, leave mates behind, and instead consider taking an experienced driver with you. You may not want your first solo trip to include the M25 at rush hour or notoriously dangerous roads such as the ‘Cat and Fiddle’ A537 between Macclesfield and Buxton. Instead consider setting yourself targets before tackling more difficult driving challenges. The same goes for driving in bad weather, particularly long distances or at night-time. Use the Road Crash Index to identify the most dangerous roads in your county, how many crashes take place on them, and what road safety improvements have been implemented since 2010. Buying your first car is an exciting thing to do. But think small. You probably don’t need the space offered by a large car designed for families. And a smaller engine is better for fuel economy. What’s more, insurance companies charge more for vehicles with powerful engines, which their claims data shows are associated with a greater risk of accidents. Be sure to carry out regular car maintenance checks. At its most basic, this includes checking tyre pressure, and ensuring levels of fluids including windscreen wash are topped up - but there is plenty more you should be doing. If you've got a car, a car insurance policy is a legal requirement. It can be difficult to know what type of cover to go for, particularly as there is a lot of jargon to get your head around, so ensure you understand the options. Also, younger drivers face much higher car insurance premiums [link to 10 tips for young drivers to cut the costs of their car insurance] than those who have had years behind the wheel. So consider a telematics policy, which offers personalised insurance based on how you drive. If you are the main driver, be sure to admit as much to your insurer. If someone else pretends to be the main driver just to reduce premiums, this is a practice known as “fronting”: it’s against insurers’ rules and it can lead to the policy being invalidated as well as, potentially, prosecution for fraud. To read more about your car and staying safe on the road, go to Solved.